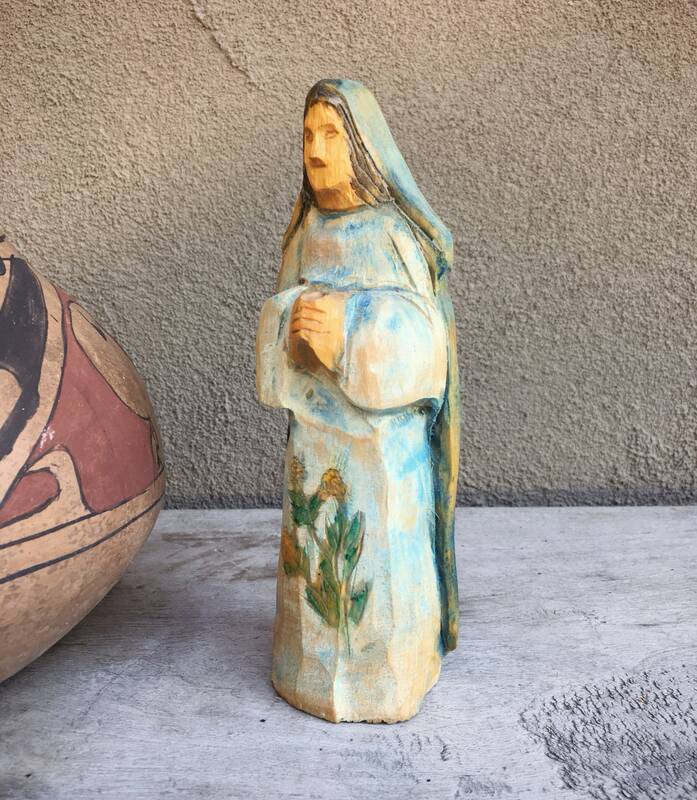 This carved wood Mother Mary saint is most likely from Mexico and is older, which we know both from the lightness in the weight of the wood, and the fact that her wooden rays (rayas in Spanish) are missing. If you look at the back you can see the remnants of what was there. 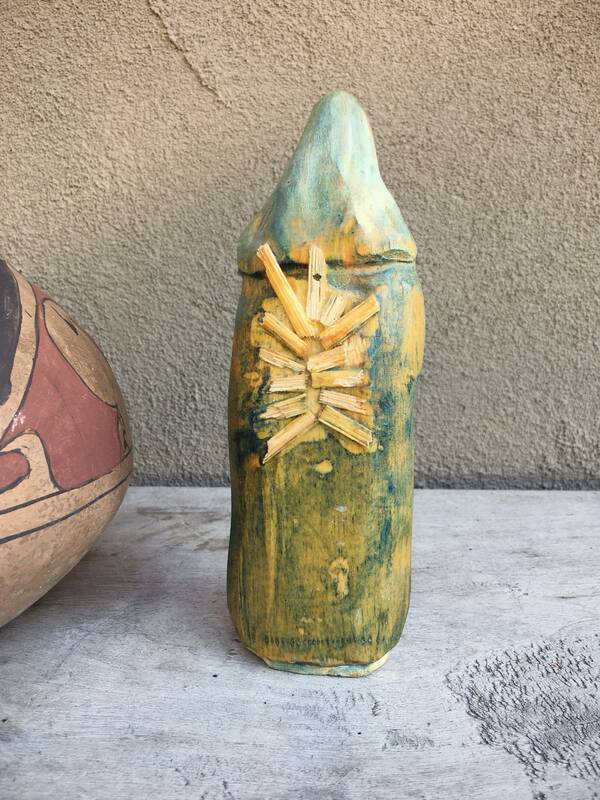 But from the front she looks like a primitive Mother Mary. 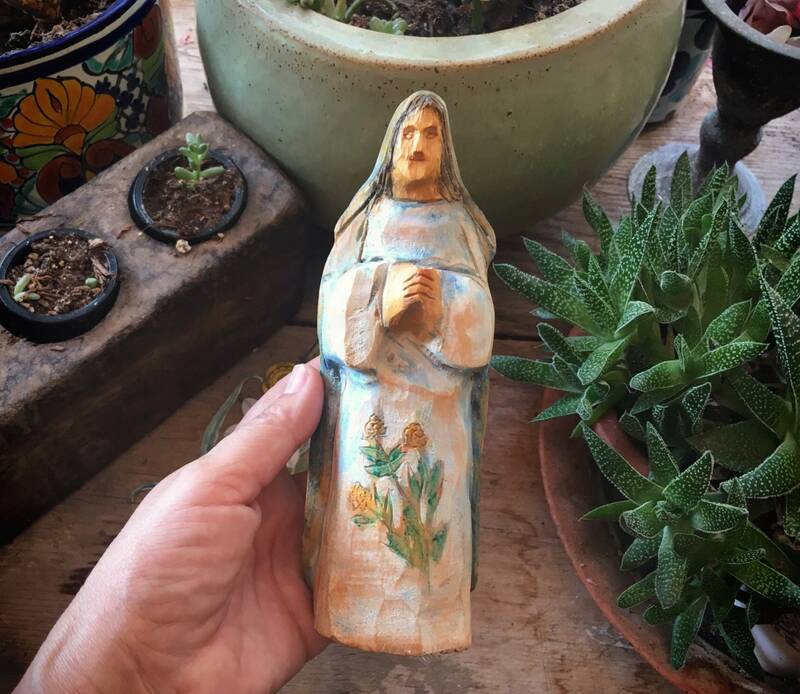 I bought her from a lot of carved wooden saint statues at an estate in Santa Fe, which was filled with beautiful statues from different spiritual beliefs and faiths. I had planned to use her in an assemblage piece but she was too large for the nicho I have. I still think she would be perfect to incorporate into one's shrine or a home alter. 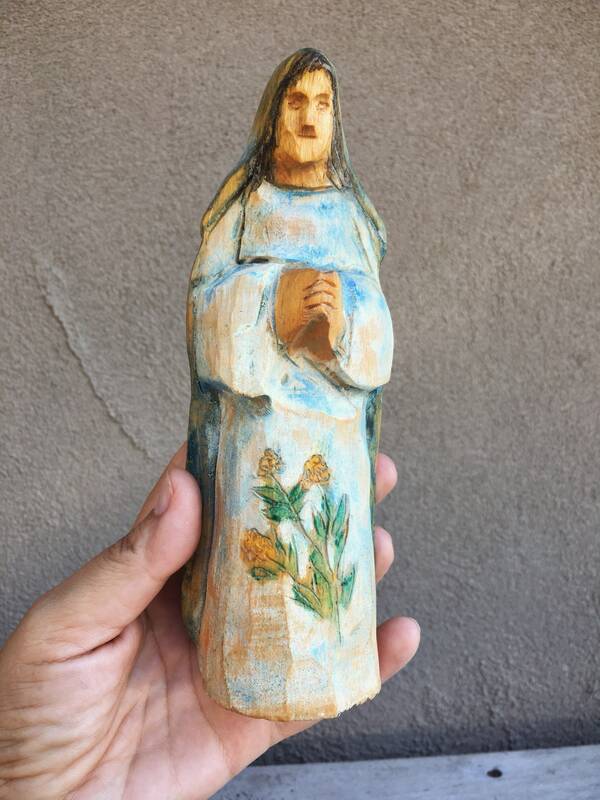 The statue measures about 7-1/2" tall with a base that is about 2" by 2". Photo 3 shows the missing rays. 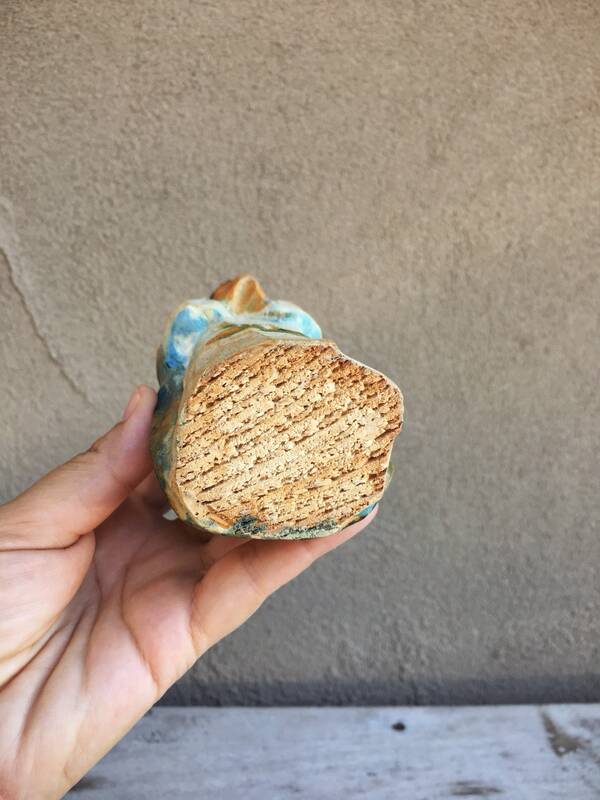 Otherwise, in good vintage condition overall. 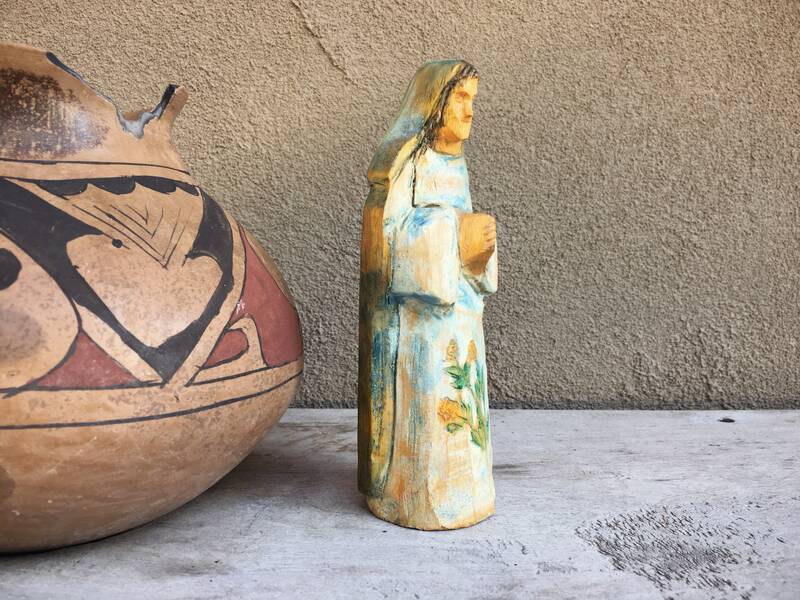 A primitive yet charming piece of folk art and religious art--and for the believer, the kind that can bring peace and healing. She is lovely and will sit in amongst my house plants until I can build her a special niche.